A functional ski outfit isn't just about a high-quality ski jacket and ski gloves, you also really need the matching ski trousers for men and women. There are now even high-quality kids ski trousers for endless fun in the snow and on the slopes. Good ski trousers for men and women are as essential to skiers, snowboarders and freeriders as snow is to winter, ski bindings are to skis and ski gloves are to ski jackets. Ski pants come in various different designs for men and women, but as a rule, they all have one thing in common: They prevent you from getting wet thighs on the slopes. 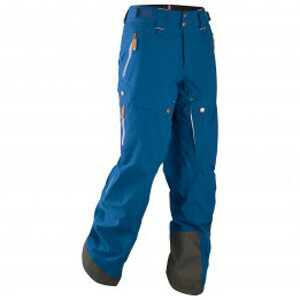 What you need to look out for when buying ski trousers is very individual and will vary depending on your requirements. Basically, it all comes down to exactly what you'll be using them for. Ambitious ski tourers and ski mountaineers should pay attention to the weight, range of motion, robustness and breathability of the pants. Good alpine ski pants have zipper vents on the sides of the thighs and also have a very breathable membrane. However, this membrane only works to its full capability when it's combined with a baselayer using the onion principle. So you also need a good baselayer or underwear. For alpine skiers and snowboarders, durability, thermal insulation and fit are most important. That's why there are different ski trousers for men and women. Warm, lined ski trousers for alpine use on the piste and in the ski resort, as well as lightweight, thin hardshell pants for ski touring and snowshoe hiking. High-quality ski pants have a waterproof and windproof membrane, which is also breathable, to protect alpine skiers and tourers from snow, cold, wind etc. Kids snow trousers also need to meet these functional demands. Good skiwear, consisting of a high-quality ski jacket and ski trousers, is lightweight and constructed in a way that warm air from the body is only transported outside if the zip is open. First of all, it is important that the ski pants fit. They shouldn't be too long or too short, they should never slip or constrict and the snow pants should make the wearer feel great. 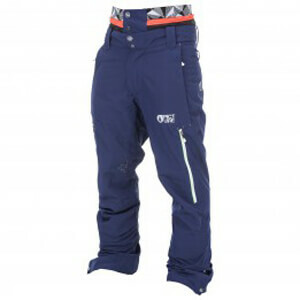 Good ski trousers for women and men must be able to withstand adverse weather conditions. Winter sports enthusiasts and skiers should be able to rely on them 100% in snow, wind and rain. Therefore, ski pants must keep you warm and dry, be very abrasion-resistant and robust and maintain the perfect body climate through breathability and the right fit. But they also have to look good. So the look, cut, color and pattern of ski pants is also important. When buying ski pants, you should try and make sure the color goes with your ski jacket and ski gloves. If potential alpine ski trousers fulfil these criteria - that is to say: They fit, can breathe, are waterproof and windproof and also look great - then nothing can stand in the way of your next winter adventure skiing or snowboarding in the alps, snowshoeing or ski touring.